This is one of our Club's fundraising efforts that's hard to beat. Every year around May and June, over a six-week period, we offer a limited number of memberships (max. 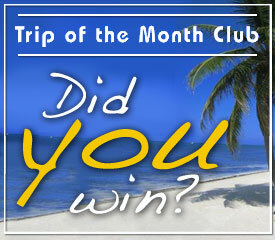 850) in our Trip of the Month Club, at $150 each. 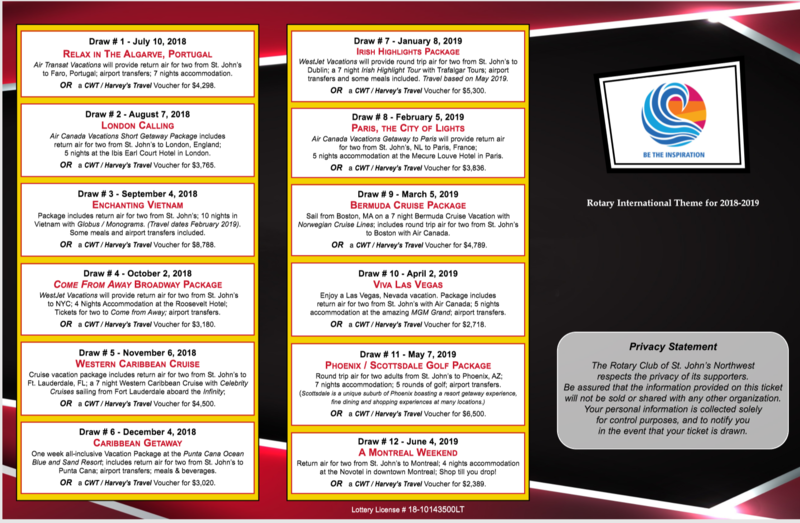 Beginning in July, at our regular meeting on the first Tuesday, a winner for that month's trip is drawn. All 12 trips (and their values) are described on your membership card, so you'll know exactly what trips you can dream about. All trips include return airfare for two people, accommodations, and a spending allowance of $500. Some trips even include tickets to the theatre or some other special activity at the destination. Each winner has the choice of taking the trip as awarded (valid for one year), OR taking an alternative trip of his/her choice of equal or lesser value, OR taking cash equal to 85% of the trip won. Each month's draw also has five runners-up, each one winning $150. Runners up: Krista Murrins, Glen Saunders, Darlene Johnson, Ron Corcoran, WIK Enterprises Inc. Runners up: Wendy Batten, Brian Mulcahy, Keith Snedden, Bob Giovannini, and Miki, Ray and Angela Allison. Runners up: Nancy Cook, Mike Warr, Mike Bruce, Paul Janes and Loyola Carey.